I really couldn’t live without my Kitchen Aid Mixer. Enjoy your newsletters and have always loved Grandma Molasses molasses, especially on my French Toast- always must have it (great pick me up when not feeling well). Love to cook and love trying new ideas from your recipes and videos, keep up the great ideas. Thanks Linda Lou. Hi Linda Lou, Lucky you to have a Kitchen Aid. My mom and sisters love theirs. I still do most of my mixing by hand but must admit that I love the look of those stand mixers, especially all of the fun colours. Have used Grandma Molasses Molasses for 40 years come next April! I have used in plum pudding, cookies, breads and barbecue sauces! Absolutely love it! 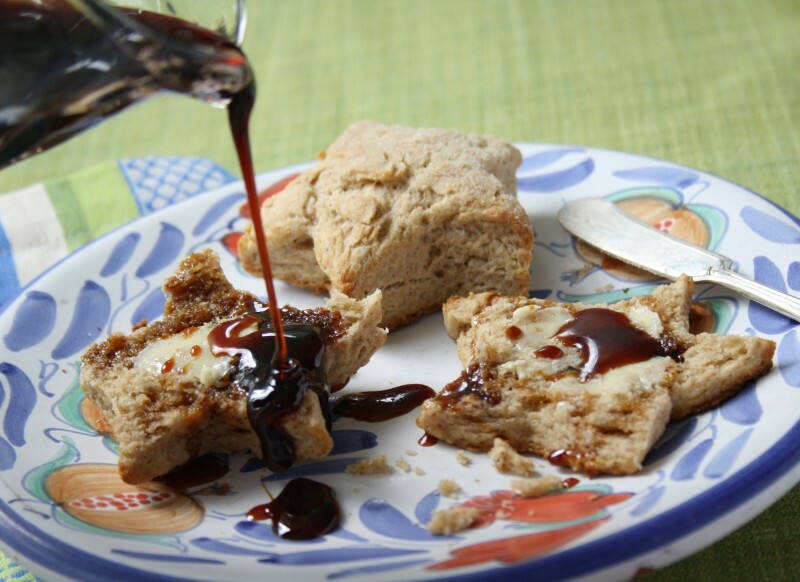 Thanks for all the wonderful Grandma Molasses recipes over the years! Hi Patricia, I love that that Grandma Molasses molasses has been with you your entire baking life. Lots of great baking memories I bet. I love Grandma Molasses Molasses! I have been making gingerbread and molasses cookies for over 40 years. Many thanks, Bridget, for the opportunity to win this great prize pack! And please keep your stellar recipes coming, they are very welcome in my home! What tool I could not live with out? I also love my immersion hand blender. OK so I have more than one kitchen tool I love. Hi Lynda, All of the tools you mentioned are favourites of mine too, especially the rasp. I could add lemon zest to everything I cook and bake. I would really miss my stainless steel 1/2 Cup measure as it measures dog food 3 times a day and flour and sugar sometimes. Hi Peggy, Like you I prefer stainless measuring cups. They have a great weight, are durable and always feel nice and clean. There are so many kitchen tools. But I suppose I couldn’t live without my knives and measuring cups. Some are more gadgets and not loved any less, but you do need the essentials. Hi Elizabeth, A good sharp knife is such a joy to use. I have been trying to teach myself to sharpen my own with a whet stone but I need lots more practice. If I won a Sturdy apron,Utensils and a new Cookbook,I would invite some friends over and draw a number out that the person who had the number matching the items mentioned -#1st pick friend wears the apron mixes the dry & wet ingredients and pours mixes into pans,#2nd pick friend does the measurings with the utensils,#3 pick friend reads ingredients with the new Cookbook. Getting together with friends and make a meal & Dessert with lots of laughs and music.Bon Appettit!!! Hi Cheryl, Great suggestion. Cooking with friends is lots of fun and a special way to spend time together. That is a hard question. I have many kitchen “helpers” I could not do without. As simple as it sounds I could not live without my measuring devices. Hi Jen, I agree, it seems that the simplest kitchen tools are really the most essential. I cannot live without my measuring cups and spoons. I’m not that good of a guesser! Hi Erika, I love the idea of guessing measurements but when it comes to baking I’m also totally dependent on measuring cups and spoons. I couldn’t live without my wooden stir stick! But seriously, how can I pick just one, lol? Hi Judy, You’re right, picking a favourite kitchen tool is like choosing a favourite child. It is fun to hear what people can’t live without. Kitchen utensiI I love the most……would be my sets, yes, sets(3) of measuring cups…..I use them all the time…..are easy to wash and and markings are easy to read. Hi Marilyn, I’m glad I’m not the only one with multiple sets of measuring cups and spoons. I just need more kitchen drawers to hold them all though. If I had to pick something aside from plug in appliances (because I could not do without my stand mixer), one of my favorite baking tools is an ice cream scoop in various sizes for easy cookie making. I also use my largest one for veggie burger sizing. Hi Leigh-Ann, I have never tried a cookie scoop for cooking and baking but they sound appealing. One of these days I’ll have to buy one. The kitchen tool that I could not live without are my measuring spoons. I have 2 sets: one for baking and one for food prep. They have been used all the time and are starting to wear out. I have to check the measurement guide under the light to make sure. I love to cook and bake and want to have the recipe just right. 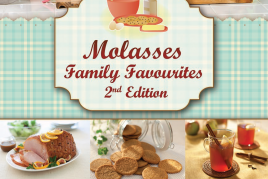 I love a good cook book and I love Grandma Molasses. Can’t live without my silicone spoon spatula. It is my go to implement for all stir frying. 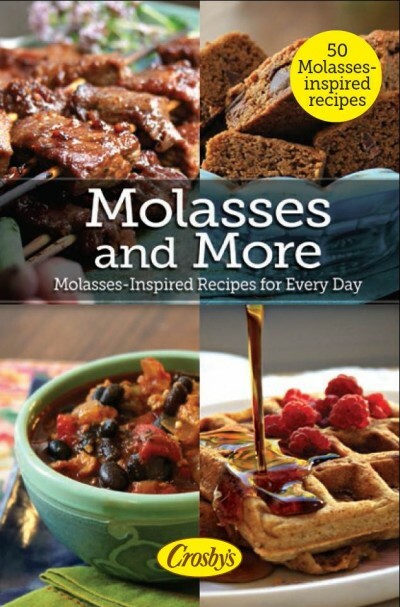 I love molasses so that would have to be a recipe book contains lots of great recipes. do clean hands count as a tool? if so that is the one i can not live w/o. After that it would be measuring cups and spoons. Hi Jacquie, Couldn’t agree more. In fact, hand washing before baking has been the toughest habit to teach my kids. My tool is a good strong mixing spoon. I love baking and I love molasses and have since I was a child. Big stoneware bowl. Anything else can be fudged with something else, but a good solid bowl is a must. You’re right a heavy bowl is essential. The plastic and stainless bowls you see so often now just don’t cut it. Is my mind a tool? I think so! I can’t live without my measuring spoons and cookbooks.  I love baking .when the cake or cookie out from the oven that molasses smell is so fantastic.I love Grandma Molasses recipe.of cause, need to have a good baking kit. Hi Sheila, I couldn’t imagine kitchen life without cookie sheets. I’m a parchment paper addict too. Hi Joanie, You know, I love the look of wooden spoons as much as the feel of them. Funny how something so simple can be so essential. I absolutley love my emmersion blender and use it all the time. Hi Pay, I agree, once you have been introduced to a emersion blender there’s no going back. I recall the days of struggling to pour hot soups into my food processor…Long gone, thank heavens. What kitchen tool could I not live without? That’s a tough question! I think I’ll go with my favourite thing… my rolling pin. It not only does its job well, it also takes me back to my mother’s and my grandmothers’ kitchens every time I use it. 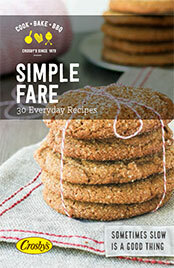 It’s worth its weight in Grandma Molasses Molasses Crinkles (the first -and best- cookies I ever learned to bake). Hi Jen, I hear ya, a good heavy rolling pin is a joy to use, almost therapeutic, like kneading bread. By the way, I have tried some lightweight rolling pins but they’d be better used as kindling. I’m not sure I could limit it to 1 thing! I know I absolutely love my kitchenaid mixer and wouldn’t want to bake without it 🙂 But i love my spatulas too, cleaning out bowls so they are easy to wash.
Hi Elizabeth, I agree, I love spatulas, especially the new silicone ones. Couldn’t live without them. I couldn’t live without my measuring cups. I couldn’t live without my measuring cups:). Even though I believe they are suggested amounts and not meant for precise measurements. Most of my recipes are handed down so…. I could not do the gingerbread work I do without my Kitchen Aid mixer. Between the gingerbread dough and fondant it is a life saver. One a smaller scale I can’t live with my rolling pin. It is how I can create each how. I reach for my handmade wooden spoon probably more than any other utensil. I have been making brown bread for almost 40 years and have always used Grandma Molasses molasses in my recipe. I love my Kitchen Aid mixer and my knives! Love giant wooden spoons, giant glass bowls and lots of tablespoons and butter knives, then I’m all set. Hi Karen, I agree — the basics are the best.